I was warned about them. I’d seen the posts on twitter and heard the groans from my friends who are authors. The Soul-Crushing Edit. Is it me or is everything in this business looming over with the potential to crush us? Hunger Games has nothing on the publishing industry. 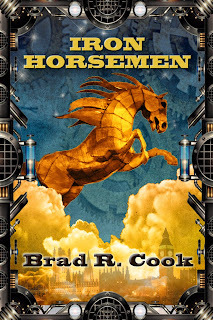 When I got the edits for Iron Horsemen, my steampunk novel released by Treehouse Publishing Group last December, I was so happy. Then I kept reading, so much red, sooo much red, with lines, sooo many lines, and comments, sooo many comments. The Soul-Crushing Edit is the right and proper stomping of your sweet pristine manuscript by the editor of a publishing house. It’s editing not with an axe or a scalpel, but with a hammer – we work for months or years on these manuscripts and then *!SMASH! * our beautiful glass sculpture is shattered. I think they use Mjolnir. Pssst, so as not to frighten you… there’s a happy ending. Because the editor takes those shattered pieces and make a gorgeous stained-glass window. Something better than was there before. Here they are the three phases all writers go through upon receiving the soul-crushing edits. Common reaction: “But that line was everything to my whole book and you just cut it out. Not only the sentence, but the paragraph, and what… the whole scene???!!!! It’s at this point that we gather up our arguments like a political debater and get ready to write that scathing email – may I suggest not emailing until you’ve gone through all the phases of the soul-crushing edit process. Common Reaction: “I’ll show them. I’ll rewrite the rewrite and edit my line back in. Ha. Maniacal Laugh. Then spend the next two hours rewriting half a page. Sit back contented as the sentence is back in the book. All is right in the universe. Common Reaction: “Hmmm.” Stare at screen, scratch head, hold chin, sit back, and repeat. Reread – makes no sense. Reread the rewrite. Send a note to the editor inquiring about why they made that change. Realize this theme was dealt with in the previous chapter. The story doesn’t need this scene. Reread editors original edit – “Well, it does flow better.” Hit accept. Sadly, the world will never know the genius of that line. Result, the book is better than it was. As authors by the time the book is ready to print we can no longer see the flaws, our minds fill in the missing details, and gloss over the dangling plot lines. The editor comes with fresh eyes, they have experience with books, this isn’t like your family telling you its great. This is hard hitting advice meant to improve the reader’s experience. As a warning I must report that it can go the other way. An editor can completely miss the point of a scene. They might not see your intention, but that’s why the editing process is a back and forth. The point is never to take down, insult, or destroy the author or the work. Edits are about making it the best it can be. The Soul-Crushing Edits can’t be avoided. There will always be more red than expected. But that’s a good thing, it’s better to catch it now, than after it goes to print. 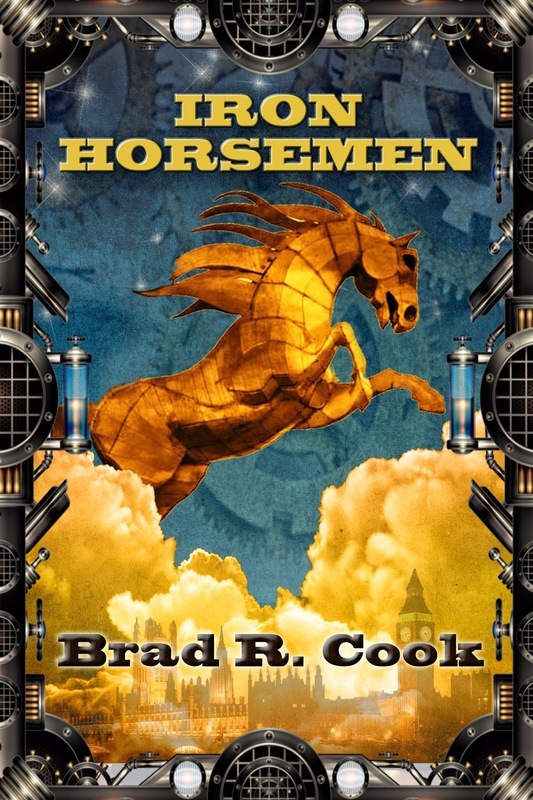 So to the editors who went through Iron Horsemen, and those that will read Iron Zulu – thank you!